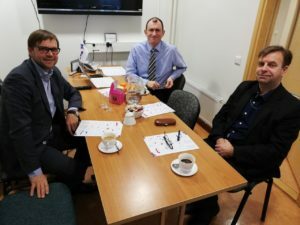 Quite a number of persons were interviewed in Tallinn, Tartu, St.Petersburg and Pskov during the Result Oriented Monitoring (ROM) mission to the Estonia-Russia CBC Programme 2014-2020. Directorate-General for Neighbourhood and Enlargement Negotiations of the European Commission had initiated Result Oriented Monitoring (ROM) mission to the EU-Russia CBC Programmes 2014-2020 for monitoring of and reporting on the implementation of projects and programmes financed within the framework of the European Neighbourhood Instrument. 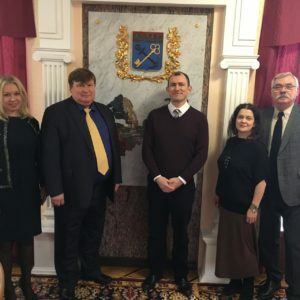 ROM mission to the Estonia-Russia CBC Programme 2014-2020 was carried out in the period of 14-24 January 2019 by the expert Mr Steven O’Connor. 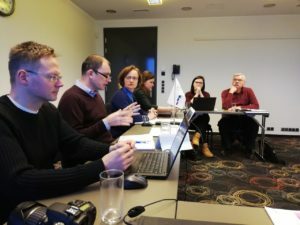 Interviews with representatives of projects and all Programme bodies have taken place in Tallinn, Tartu (Estonia) and St.Petersburg, Pskov (Russia) to ensure a broad evaluation and involvement. At the end of the mission Mr O’Connor shared with the staff of the Joint Technical Secretariat and Managing Authority some observations that can be taken into consideration by the Programme management in the coming period. 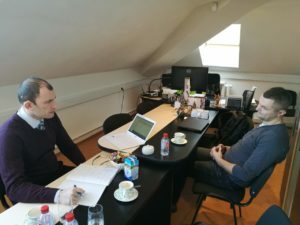 Further on monitoring report will be submitted to Directorate-General for Neighbourhood and Enlargement Negotiations of the European Commission to assess the effectiveness and efficiency of the Programme implementation.